Public and private sector companies are nearly always looking to hire people for debt collection and debt recovery jobs. Debt collectors are central to the maintenance of company cash flow, which makes them integral to any type of company. On a daily basis they are responsible for recovering old debt owed by customers or clients. In many cases, such as entry-level roles, debt collection experience isn’t a requirement – candidates just need to show they have a few traits that will ensure they are successful if given the job. Self-motivation is important because it’s likely that you will have your own individual targets to meet, while this is very much a job that requires you to work in solitude in order to get the job done. Like most jobs, debt collection is a career that sees professionals working to KPIs. Targets in many cases relate to the amount of debt collected over a certain period, such as a month or longer. For this reason, we suggest that this type of role is only for you if you are comfortable in a target-driven environment. Reliance is important in a role where your main task is chasing people who are being intentionally elusive. Being able to stay motivated in the face of any setbacks is key. You need to have strong communication skills. This applies to both written and verbal communications, as debt collection is something that can be carried out via telephone, face-to-face or through email correspondence. Negotiation skills and the ability to keep a clear head are vital, because you will often be chasing people who are reluctant or unwilling to pay their outstanding debts. 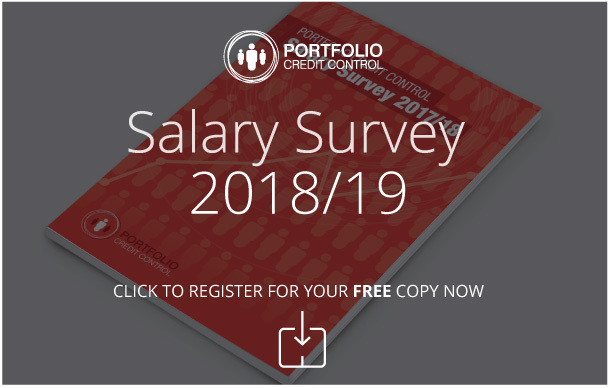 If, after reading this, you think you have what it takes, you can find the latest credit control jobs with Portfolio through our online job search. Our Central London offices are near Liverpool Street – call us on 020 7650 3199 to arrange a chat with our recruitment consultants who can help shape your future.